IELTS Vocabulary: Topics Specific Lists and Vocab Acquisition Strategies. IELTS Vocabulary means using a more academic style and word choice (Lexical Resource) when writing your essay. Using Topic Specific Vocabulary, collocations and words from the Academic Word List will help considerably. how to learn / memorise these new terms so you can improve your IELTS writing. The best vocabulary to score in IELTS is Topic Specific Vocabulary – a vocabulary that focuses on one topic. In this IELTS Vocabulary article we will give you plenty of detailed explanations, tips, examples and resources for practice on this subject. Topic Specific Vocabulary also contains lots of collocations, so you can expect a thorough explanation on what they are and how to use them. A collocation is a group of words that has an above average possibility of being found together. Using collocations in your writing and speaking helps to make your language sound more natural and fluent. This in turn makes your skills higher and gets you better scoring in essays. What is the best way to learn Topic Specific Collocations? The best way is to learn Topic Specific Collocations is to look for them being used in context, in their natural environment. Each page below contains a list of collocations, a sample band 9 essay, and a TED TALK video that shows how the collocations are used. Lists of common vocabulary words with meaning for each IELTS topic. Each page has a list of IELTS topic terms, along with sample IELTS questions, and a TedTalk so you can learn the list in context (very important). 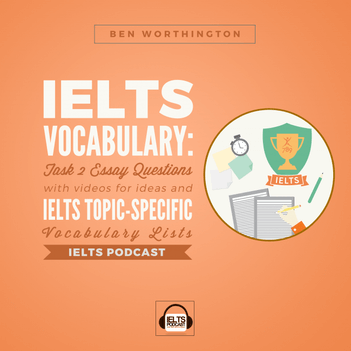 Here is a whole podcast dedicated to these techniques and more IELTS vocabulary, which also includes a great resource for learning Topic Specific Vocabulary – great if you are aiming for a Band 7/8 or 9. The Academic Word List is an essential vocabulary list of the most common words found in academic texts. A copy of the list can be found here. This list is essential because it gives you a guide as to which words you should aim to include in your academic writing. However, as with all wordlists, these terms are best learnt and used in context. I think Quizlet is a great little tool to learn IELTS vocabulary fast. Generally speaking, a healthy forward looking university is said to have dynamic well funded faculties and hard working students. Generally speaking, a healthy forward looking university is said to consist of dynamic well funded faculties and hard working students. This small improvement lets the examiner know we have a more advanced vocabulary, and would help to boost the lexical resource criteria of the test. Find a native English speaker (or someone of similar ability) to read through your work and show you where you went wrong and what can be improved. I would recommend an essay correction service or use your current English teacher. Before this step, first try yourself to correct your work, this way you can identify errors on exam day. Although in this tutorial you can see a few unique ways to learn a language, in this specific tutorial we look specifically at memorising the IELTS vocabulary. A few years back I was teaching English in Spanish school and we always used flashcards, why? Students could absorb lists of around 20 cards / words with a total time allocated of around 40 minutes. Since then I have used flashcards myself to improve my Spanish vocabulary. How do I use flashcards to improve my IELTS vocabulary? Find a vocabulary pack of words and translations from English into your own language. Allocate around 30 minutes to memorising a pack of around 15-20 terms. This is done by going backwards and forwards through the pack until you can see the word in your own language and then instantly translate it into English (or vice versa). Repeat in a few hours or the next day. 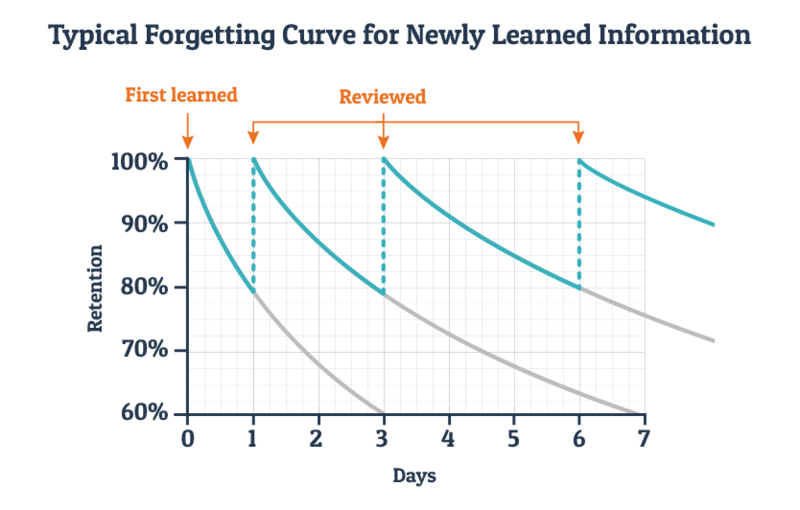 The key to complete long term memorisation is to review this pack daily, this is called Spaced Repetition or the Forgetting Curve. Although Quizlet is my favourite, a simple search on Google will reveal heaps more flashcard sites. By the way, if you do start using Quizlet and translating terms into your own language, please post links to your packs in the comments below, this will help other IELTS students. If you go to the Quizlet link above you will find academic word list exercises to help you learn faster. But remember to learn them in context! A traditional means of building IELTS vocabulary in a new language is using phrasebooks. Phrasebooks typically contain basic conversation categories that are used in everyday life. They also usually contain a basic dictionary at the back. Phrasebooks make it possible to learn how to communicate without worrying about the details of the grammar or the meanings of the individual words – they encourage memorising various phrases without getting into the mechanics of the language. Phrasebooks can be very useful for someone that just wants to learn “enough” language to get around in a short period of time. You can go through them quickly and they are usually small enough to keep with you, so that when you have a few minutes of free time, you can pull it out and read through it. The downside to this method? You may spend time reviewing phrases that you’re already familiar with and miss others that you haven’t reviewed yet. A more systematic review and study of a phrasebook will yield better results, but there’s a limit to how much you are going to be able to learn in this manner. You also aren’t going to learn how to adapt the different phrases to different contexts. More info on phrasebooks can be found here. One of the best ways to build your vocabulary, particularly for IELTS, is to read, read, read, and read some more. As you come across new vocabulary, build your own phrasebook along the way! Pick a newspaper, magazine, tv show, podcast, or radio program that you find interesting (so that it is enjoyable for you!) As you encounter words or phrases that are new to you, try to figure out what they mean based on the context of the article or show (this part is critical!). After you’ve made your best guess, check its meaning in a dictionary and add it to your phrasebook. Beside the word, note its meaning, and anything else that will help you remember the word/phrase – maybe an example sentence containing the word, synonyms or even a picture – whatever helps you remember what the word means and how to correctly use it. Should I use the word if I am not 100% sure? Many IELTS prep sites out there will point out that there are some topics (technology, education, environment, crime, etc.) that tend to appear more frequently than others, and they do. …and you definitely don’t want to just memorise vocabulary lists for these topics. As I mentioned before, this is a surefire way to trip up during the exam. One good rule of thumb – if you’re not 100% sure what a word means and how to correctly use it, don’t. And you aren’t going to be 100% sure of how to use a word if you just memorise it off a list. Breaking News English This website is fantastic for all levels of language learners – you’ll find articles about current events written in multiple levels of difficulty. Improving your listening skills is another way, and a much more natural way to build vocabulary. Don’t limit yourself to just these sources though – there are a lot more out there – finding something that interests you is the most important thing to do. 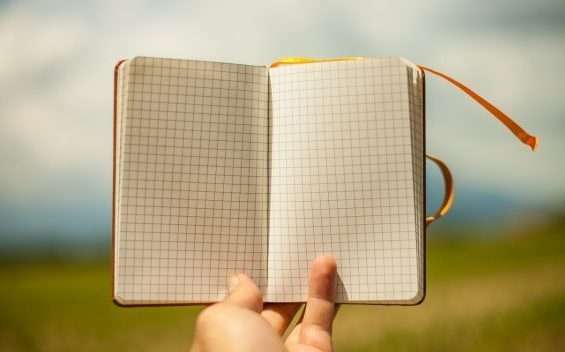 If you are reading material regularly, and add 10-15 new words and phrases to your notebook regularly, over time you will build your own reference book that you can use to study and remember the “new” words until they are no longer new! There are a number of connectors in the English Language that can be used to help you show contrast, similarity, outcome, result, sequence and order or relevance or importance, exemplification, emphasis, explanation, dismissal, summarising or concluding, particularising, focusing, timing, and correction. Connectors are especially useful when it comes writing your IELTS essay as they will be able help you to optimize your essay. Below is a list of all the connectors within the English language categorized by what they are used for. There also examples to help you see how they are applied. There is never the perfect time to tell someone something unfortunate, likewise, no one is ever ready to receive bad news. Using painkillers will heal you of a headache in the same way cough syrups gets rid of a cough. Italian painters are renowned for their innovation, similarly so are the Greeks for their philosophies. I walked out of the meeting, also, why was John going off like that? That is no way to talk to an employee. I think mathematics is quite challenging, correspondingly, so is physical science. I walked out of the train, simultaneously, my ex-girlfriend walked in. I advocate for equal human rights, in the same breadth, I believe that we must all tolerate each other’s differences. I believe in the cosmos; therefore, I follow astronomy and horoscopes religiously. I tried to write two exams on the same day, as a consequence, I failed one. I wasn’t sure I could pass my IELTS exam, thus I decided to hire a tutor. It rains quite often in Europe, as a result, most Europeans tend to vacation in sunnier destinations. Umbrellas offer protection during various weather; accordingly, it is good to carry them around when it is hot and raining. I know that humans only use on average about 10% of their brains, nonetheless, I often feel quite stupid. I really wasn’t feeling very well, nevertheless, I went to work because of the presentation. Property prices seem to constantly be soaring each year; in contrast, car prices seem to be diminishing. I wanted to purchase a dress I saw in the shop last week, however, when I returned to the store today it was sold out. Sometimes I feel like I cannot pass my final exams, yet, I still study hard. He is a very good-looking guy, I can admit that, but all the same I still don’t think you should go out with him. We planned to host a dinner party but only three people showed, in any case, we still had the party and it was a great time. America should consider taking care of their gun laws, instead, they pretend there isn’t a problem. I used to believe in Valentine’s day when I was younger, on the contrary, I think it is the dumbest holiday in the world. Dating in the 21 century certainly has its risks, by comparison, it also has its perks. I can completely agree with what Lisa has said, on the other hand, I cannot disregard what Paul said either. Firstly, she mentioned that she would be on time for the meeting but she wasn’t. Secondly, we all noted how well she did in that physics exam. Third, you can always just claim that you didn’t see the missed call from him. Last of all, it may be important to schedule the next meeting and delegate tasks. To begin with, how about you consider making a different choice. For another thing, your choice may not be incorrect just not currently applicable right now. I stopped by Lisa’s apartment to check in on her, in addition I called her on her mobile phone but she didn’t respond. It is pouring rain outside Kate, also, why are you not dressed in warmer clothes? Besides us no longer being in communication you are still someone I hold a great deal of respect for. I thought that smoking cannabis was illegal, moreover, I was certain there were health risks too. She spoke to Ben last night and all you could hear was yelling and screaming, furthermore, I think they ended their relationship. Finally, the package I ordered last week on Amazon has finally arrived. I think its best we discuss work life balance, most importantly, how the organisation can ensure employees are not overworked. She gave a rather impressive speech, most significantly, was how everyone stood up in great applause. Essentially, you are going to have to come to terms with the loss. My dad is one of the most loyal people I know, above all, he is always supportive of my goals. When I drive I tend to be quite cautious, primarily, about really fast drivers. I think Thailand is a country known for its religion, for example, they have an endless collection of beautiful temples. Apparently, every time you walk out of the house you could die, for instance, you could be hit by a bus while crossing the road. Misinformation can cause many disagreements. To illustrate, a company advertising the incorrect price could lead to the customer getting quite upset. I could say that trade sanctions are trouble for the economy, in fact, I could go on a limb and say they start wars. I was going to install the new app on my computer tomorrow, actually I think I’ll just do it today. What most people fail to understand is that travelling isn’t for everyone, as a matter of fact many people prefer to settle down in one place. Indeed, it may be a lot easier to just give up on passing your driver’s licence test. Calling any customer service hotline is rather useless, namely, calling the bank’s hotline. Never apologise for learning something new, that is to say, don’t give up on your dreams because of what other people think. There is much to discuss before choosing to start a family, in other words, you don’t just want to rush into it. Anyhow, I’ll just take the next train instead. At any rate, learning a new language will not be easy. I was trying to get your attention earlier. Anyway, it doesn’t matter now. In summary, I have come to the realisation that communication plays a huge role in the success of a team. To sum up my thoughts, I think choosing a single piece of art from a couple hundred is rather difficult. In conclusion, winning isn’t necessarily the most important thing, that is of course in my opinion. Today wasn’t not the best day at the office, in brief, it was a mess. The project turned out okay, all in all, I think everyone did a fantastic job. Eating vegetables is very good for eyesight, most specifically, eating carrots. Nearly a third of teenage girls will experience some form of abuse, in particular, physical abuse by a boyfriend. Buying an apartment is quite convenient, with respect to building a home straight from the ground up, that’s far more difficult. I came to see my lawyer regarding the issues I had with landlord. I would say picking a prom dress was rather a mission, especially with regard to finding the right colour and fit. I liked the entire concert, as for Jennifer Lopez, she could have done much better. As far as everyone was concerned the entire football team played very well. Entering a relationship is great and certainly has perks, as regards, you may giving away a lot of your personal space. Talking of relocating, do you know where you going to stay? Have you found and apartment? Sometimes when it comes to debating it is best to not always try to have the last word. I wrote a spelling test earlier this morning, then, I forgot all the words. There is no point in saying one thing and afterwards changing your mind. At first, I wasn’t exactly sure how to start my preparation for the IELTS test. Meanwhile, the world economy is failing as a result of incompetent leaders. I went to university to study accounting, later, I changed to engineering. I received an acceptance to study design in England, in the mean time I just need to pass my IELTS test. To be more precise what I meant to say was that I believe all Religions are bias. I wanted to move to the US, rather, I wanted more opportunities for me and my family. Read this before using your new vocabulary! Memorising standalone vocabulary or phrases has one major drawback – knowing the definition of a word does not necessarily mean that you know when or how to appropriately use it. Nuances: Do you know the difference between “convenience” and “convenient”? These both mean the same thing, but use different vocabulary to do so – and if you don’t know that “coordinate” can mean “organise” (in addition to meaning that the colour of your pants goes with the colour of your socks), then you may find yourself lost. The solution? Learn and study vocabulary in context (read, read, read and read some more!) so that you are exposed to the different ways that words are used. Practicing using new words in the correct context is an important final step. My Spanish teacher recently gave me the assignment to use all the new words and phrases I had learned over our last few lessons in a story. That forced me to review them all and consciously use them correctly (and get additional feedback if I didn’t!). Enlist the help of a native speaker to help you practice and ensure you’re using your new words correctly! Our pleasure to help you, Thida! Are you going to take the exam soon? Sorry for the inconvenience. I’ve been sending your essay questions to your gmail account. Could you check your inbox, please? I think it’s also a good idea to check your spam folder. Please let me know if you have received them. i am very week in English. secondly, i made lot of mistake in using words. like spelling mistakes ,and little bit of,,,grammatical mistakes . how should i correct them all. i need some new words which is mostly used by native speaker. But should I do? I am very disappointed.Need your help. Sorry to hear about your results, but don’t worry, the IELTSPodcast team is here to help you nail IELTS this time. We’ve received your email as well and responded there. Please check your inbox for detailed tips and tricks. l want to learn IELTS Vocabular online. I always wants to learn English. Nice presentation .A good overview of how to work for IELTS specially the writing part .